Are you considering installing landscape lighting at your residence or commercial business? Central Florida is currently experiencing a surge in low-voltage landscape lighting from Lake Nona to Orlando to Lake Mary. But that leaves many potential clients wondering what questions to ask. In this post, we’ll discuss five important aspects of your lighting system that your contractor should be able to answer. 1. What material are the fixtures made of? There are an assortment of fixture types (bullet, flood, well) and your installer will recommend the best for each setting. That recommendation takes experience to know what will work for your application. The part of the equation that you are responsible for is deciding material type. Fixtures come in aluminum (alloy), copper, brass, and polymer; and each has their place in the system. Aluminum is the least expensive and most widely used these days. It has a pretty good lifespan of about ten years and can last longer depending on conditions. Aluminum, or alloy, fixtures can be powder coated to provide multiple color options such as black, tan, or gray. These units are good for the budget conscience. Copper is a great aesthetic choice because as a raw material it looks great. Natural copper is intended to change color over time as the material chemically reacts with its environment, adding another dimension of beauty to it. These fixtures may also be ordered with a color option such as nickel (stainless steel look), green, white, gray, or tan. They have a lifespan of 15-20 years. Brass fixtures were the go to material during the introduction of the landscape lighting system. Many old halogen systems today can be found populated by brass units. These are a great option if you have the budget. They’re heavy, solid, durable fixtures and will likely last a lifetime. Because of their solid build, they aren’t prone to denting or damage by lawn equipment. Like copper, natural brass will patina over time and become part of the living landscape. They may also be ordered with color options like nickel, green, white, gray, or tan. Polymer fixtures are reserved for specific use applications, typically as a well light that will be installed in the ground. It has a limited lifespan as it will naturally, very slowly, break down over time like all plastic components. We recommend avoiding these types of fixtures when possible. 2. What type and color of bulb will be used? At Total Sprinkler & Lighting, we always recommend using LED bulbs. The benefits and return on invest far outweigh any initial costs. Because of that, we’ll focus here on the color of LED light bulbs. Generally, we use two types: 2700K and 3000K bulbs. These descriptions relate to the color temperature of the light bulbs. The higher the Kelvin (K) degrees, the whiter the bulb. For those seeking a soft, yellow glow we recommend 2700K bulbs. Many halogen systems that you see out there will emit a color close to the 2700K yellow color. These days we find that clients are moving toward the the crisp, white light of the 3000K bulb. The appearance is slightly more opaque and provides the clean look that has become popular. 3. How much will my electric bill increase? This is a great question and depends on both the number of fixtures in your system and the type of bulb used. As we mentioned in the previous question, LED will provide the most efficient system and the largest return on investment. In fact, we did an entire blog post dedicated specifically to answering this question here. It’s got a great run down of the how’s and why’s of the electric cost involved in a landscape lighting system, along with plenty of comparisons between LED and halogen. To keep it simple here, estimate approximately $19-$20 annually per halogen bulb and around $3 annually per LED bulb. That will give you a general idea of how much you’ll spend in electric for your lighting system per year. 4. What type of warranty will I receive? This is an important question to ask your contractor. It is also important to have documented on the estimate and/or invoice your receive. Many manufacturers offer warranties on their products, but some only extend that warranty to the installation company, not to the client receiving the product. That means that if the contractor installs a system with a warranty that only extends to their company and they go out of business, the client cannot act on that warranty through the manufacturer. Total Sprinkler & Lighting strictly will not use manufacturers like this. We’re someone elses client, too, and we simply decline to work that way. Instead, we use manufacturers whose warranty follows the product, not the installation company. If you didn’t have an opportunity to read about our commitment to the whole, check it out here. Total Sprinkler & Lighting recognizes our responsibility to providing quality products that are durable and sustainable. To that end, we need to ensure that if one of those products fails, repair or replacement is not an issue. 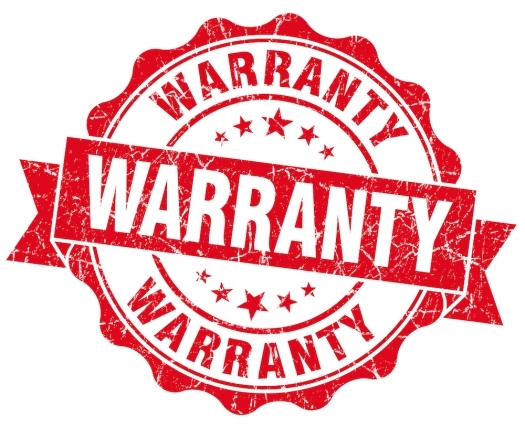 In fact, our estimates and invoices always have warranty information. Our labor is warrantied for one year from date of installation and every single product we install carries a manufacturer warranty ranging from two years to fifteen years. We believe in good business. 5. What is the lifespan of my system? This important question will depend upon the individual components you have chosen for your system and the expertise in the installation of it. The system is made up of four main products: transformer, wire, fixtures, bulbs. Each of these has their own lifespan but collectively may provide an average. Transformers may last two to ten years, so we’ll call that an average of six years. Wire is buried underground and assuming it avoids damage by lawn equipment or other related events it can last well into the long term. We’ll call it an average of twenty years. Fixtures have an average lifespan of ten years, considering the varying materials. LED bulbs will easily last five years, often up to ten years, and in most cases beyond that. We’ll call it an average of ten years. Adding those things together we come up with an average lifespan of 11.5 years for your low-voltage landscape lighting system. We routinely see these lasting twenty years and beyond. Once again, this depends heavily on the quality of the products installed and the expertise in the installation of the system. Wires held together with electrical tape with corrode long before wiring properly installed using gel-infused high grade wire nuts. It comes down to the details. In total (did you see what we did there? 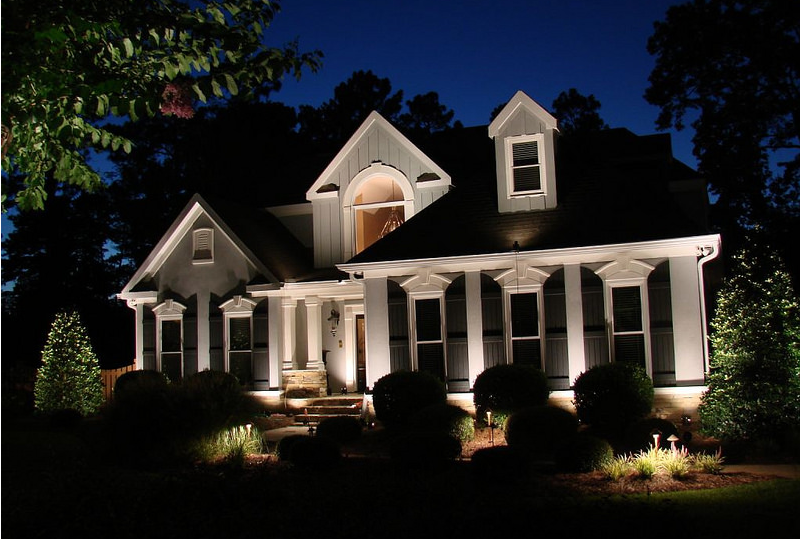 ), the installation of a landscape lighting system should be a fun, easy process that will last for many years. We look forward to addressing any other questions that our wonderful clients bring to our attention, and will include the answers here in upcoming blog posts. As always, if you’re ready to install a system at your home or commercial building, please contact us. We love building new relationships.